weekday report on the Vols. Click the filename below to play. Right click and choose "save target as" to download to your local drive. Vol Report - 3 files, 5610 KB total. VNN Fri Apr 12, 2019.MP3 - 1913417 bytes, uploaded 4/10/2019 4:45:36 PM. VNN Thur April 11, 2019.mp3 - 1913417 bytes, uploaded 4/10/2019 4:11:01 PM. VNN Wed April 10, 2019.mp3 - 1918015 bytes, uploaded 4/9/2019 9:29:33 PM. Vol Interviews - 6 files, 17727 KB total. Brandon Kennedy Vol Calls.MP3 - 2340989 bytes, uploaded 4/3/2019 2:06:12 PM. Jarrett Guarantano on Spring.MP3 - 3255066 bytes, uploaded 4/3/2019 2:07:26 PM. Jeremy Pruitt Vol Calls Feb 4.MP3 - 4677381 bytes, uploaded 2/4/2019 3:06:24 PM. 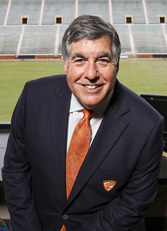 Jim Chaney on how he has changed.mp3 - 1350844 bytes, uploaded 4/3/2019 2:07:41 PM. Marquez Callaway Spring FB.MP3 - 3316506 bytes, uploaded 4/3/2019 2:07:49 PM. Ty Chandler Vol Calls.MP3 - 3211598 bytes, uploaded 4/3/2019 2:08:42 PM.